Austin’s new Airpark Homes community in Lakeway begins road and site construction at Lakeway Airpark Estates by Zbranek & Holt Custom Homes. 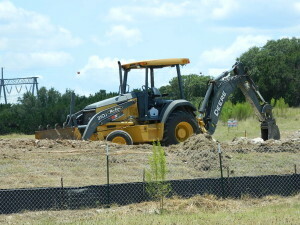 Construction crews have begun site preparation and road construction at the new Lakeway Airpark Estates community just 20 minutes from downtown Austin, Texas. This new Austin area airpark home community will feature eight custom designed homes with attached hangars and direct access to the Lakeway Airpark (3R9) runway. All eight custom homes will be built by the multi-award winning Austin luxury home builders, Zbranek & Holt Custom Homes. Homes ranging in size from 3500 to 6000 square feet of living space, will be priced from the $800’s to $1.8’s Million. Most of these new airpark community custom homes near Austin will be offered “turn-key” complete with land, hangar, pool and landscaping. 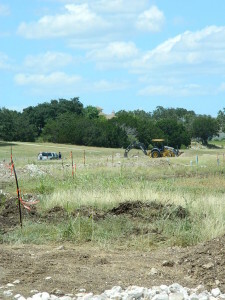 The Lakeway Airpark Estates new custom homes are slated to begin construction in approximately 90 days. Zbranek & Holt Custom Homes is now accepting home site reservations with the goal of having its smaller homes ready by next summer and larger homes completed in the fall 2014. 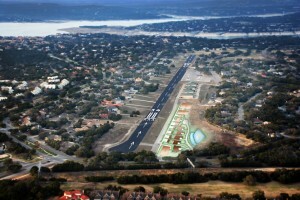 The Lakeway Airpark Estates community is conveniently located in the beautiful Lake Travis area of Central Texas. While located only 20 minutes from downtown Austin, the new Austin airpark homes are close to many shopping, dining, and outdoor recreational options. The Lakeway Airpark Estates homes are also located within the highly acclaimed and Award Winning Lake Travis Independent School District as well as being close to the new Lakeway Regional Medical Center. Call Steve Zbranek, 2-Time National Master Builder of the Year and 6-Time Custom Home Builder of the Year, for more information about the Lakeway Airpark Community home site options or lot reservations at 512-261-0344. In addition to being past president of both the Greater San Antonio Builders Association and the Home Builders Association of Greater Austin, Steve Zbranek is also a commercial pilot with a single and multi-engine flight instructor rating. 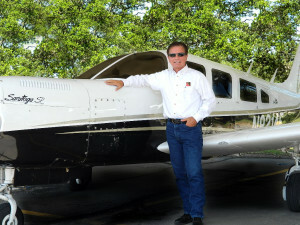 He owns a Cessna 172 and a Piper Turbo Saratoga, both based at the Lakeway Airpark. Steve understands combining the needs of the pilot with the needs of a pilot’s family. These are luxury custom residences with landscaping, pools and privacy on a family friendly cul-de-sac street.